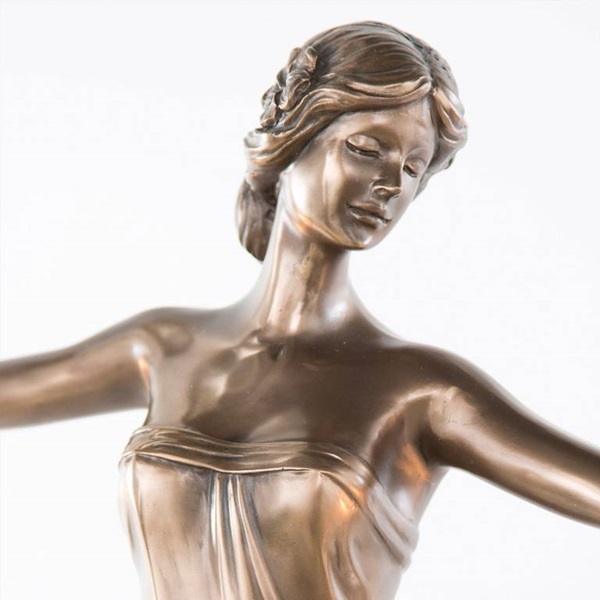 Grecian beauty! 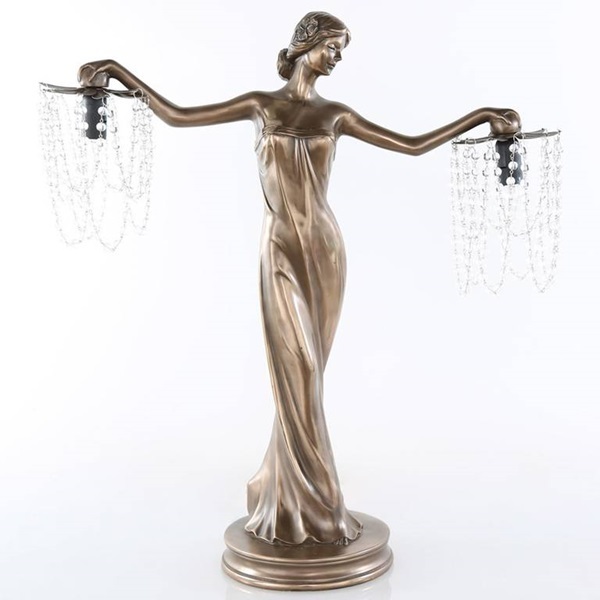 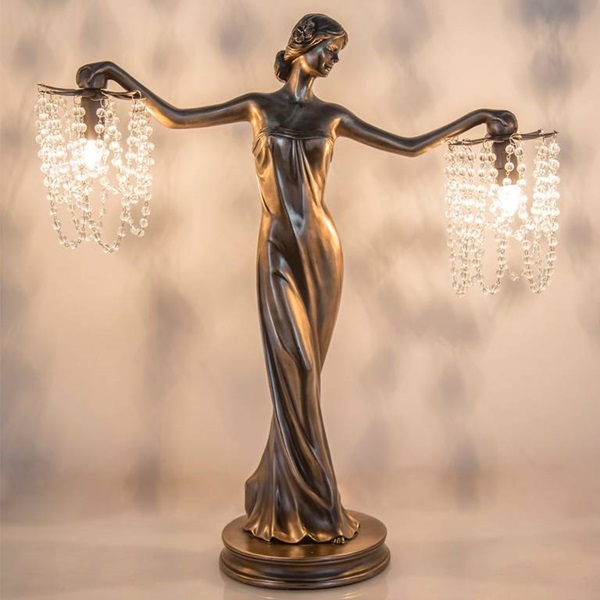 This 23.75"H table lamp features a casted bronze goddess figure with outstretched arms; each holding a light with a cascading beaded shade. 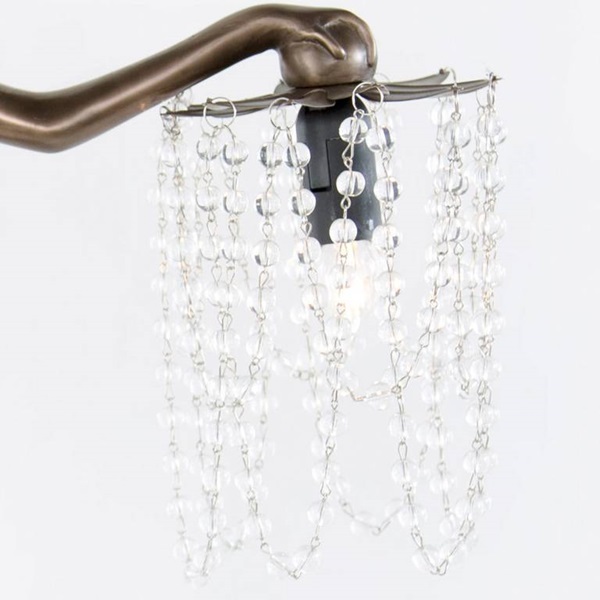 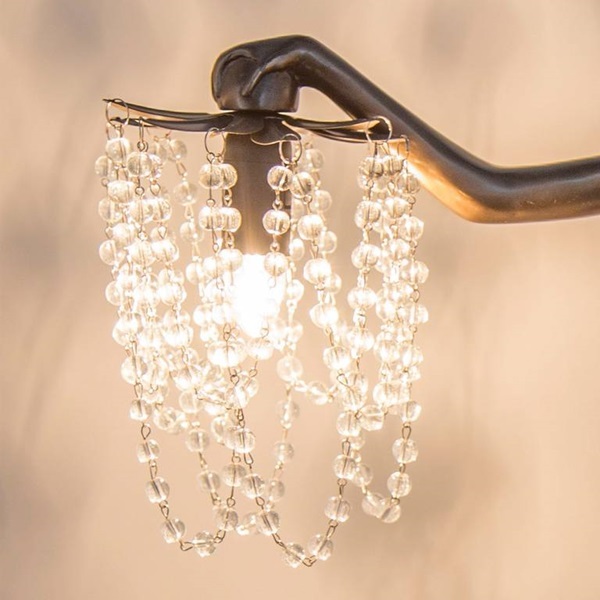 A great statement piece to add a little vintage flair!